Even the most independent person craves a sense of belonging — within a family, a workplace, a community. It’s part of the human experience. 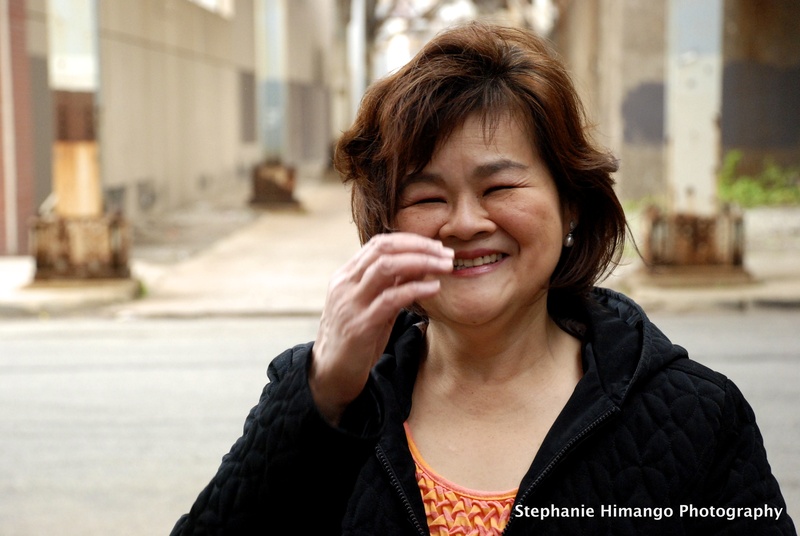 Seated over a cup of hot coffee in a cafe on Chicago’s south side, 56 year-old Anita Ong is thinking about country. Her words carry a bright tone, but her facial expression reveals resignation. She is taking me through the past, as though we are there. “In between” because even though Anita was born in the Philippines, she doesn’t have birthright citizenship there. Instead, citizenship follows that of one’s parents. In the late 1940’s, around the time Mao Zedong’s Communist Party was declaring victory over the Nationalists, Anita’s parents left China — her father first, then her mother. Anita is the seventh of nine children, all of whom were born in the Philippines. Along with her siblings, young Anita grew up in Laguna and Manila and attended Chinese school. She had to be linguistically nimble. I try to think of the long-term implications of this arrangement. How does one travel without a passport from your home country? How does one answer the question of nationality? What of the question of voting some day? Anita shares accomplishments with humility and brevity. Upon completion, rather than a license and a medical practice, Anita received some bitter medicine. Suddenly, her career path appeared to be a dead end. Or perhaps, an “in between” space. Since Anita was not a citizen of the Philippines, she could not practice medicine there. “It was very frustrating, because when I was doing my residency, my teachers told me that I was a GOOD pathologist.” Anita hints that this was a new kind of praise, a new-found and certain aptitude. Her mother agreed and encouraged her to go to the United States. 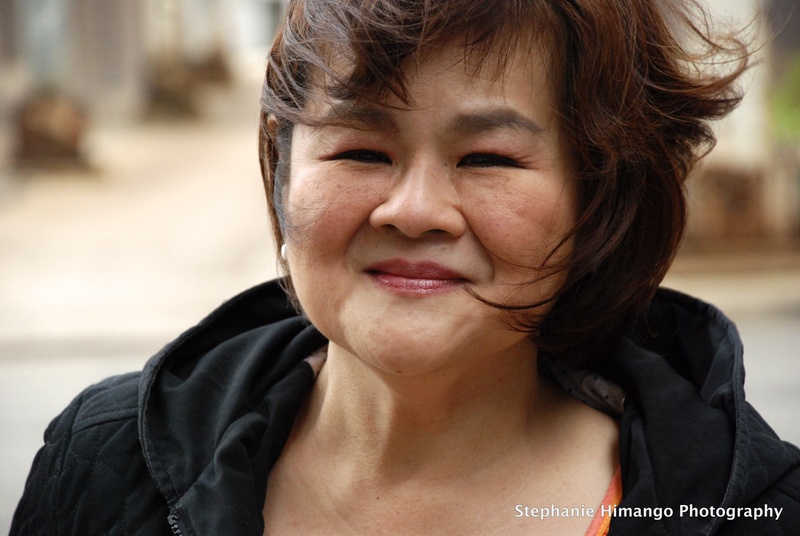 Anita boarded a plane bound for Los Angeles, traveling on a Taiwanese passport. Anita has never lived in either mainland China or Taiwan. She landed in California and visited her sister in Redlands for a few weeks. She remembers those first impressions with vivid detail. “There were a lot of citrus trees. I could smell the orange blossoms, and that was wonderful. I thought it was a beautiful place. Weeks later, she made her way to the Midwest, specifically, the University of Illinois in Chicago. There, she would repeat her residency in pathology and add two sub-specialties. 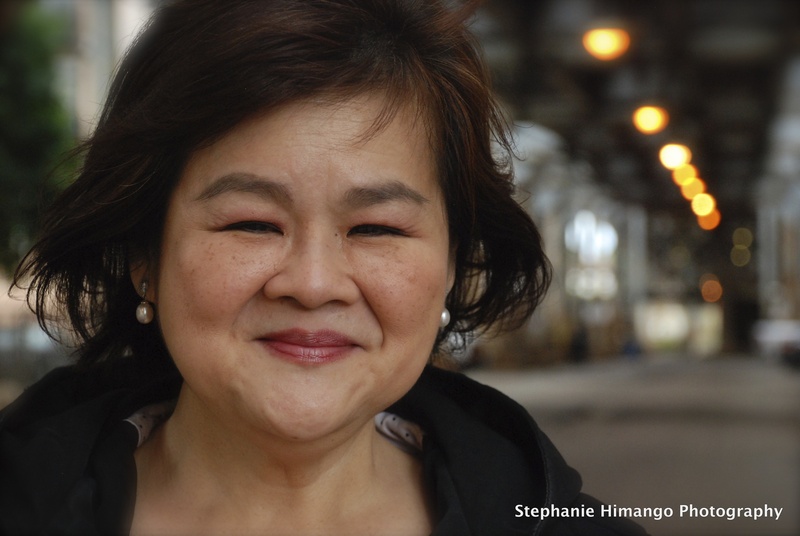 Despite cold urban commutes through dark Chicago winters, Anita felt at home — both in Chicago and in her area of medicine. And in pathology, there is less patient contact, which also suits Anita. “I like dealing with people sometimes, but sometimes I get shy. And sometimes, it’s a little overwhelming. “Generally, we are in the background,” she says of herself and her fellow pathologists. Anita wanted to do this kind of work for many years to come. She wanted to practice medicine in the United States. Her superiors wanted that too. “Will it sound bad to say that I wanted to be a citizen of a country?” Anita asks me. “I wanted to be a citizen. Anita was working at the hospital when a woman called from a government office: Anita was going to be sworn in as a United States citizen on July 3, 2013. In an ordinary room set up with rows of chairs, Anita estimated there were about 60 people, from about 30 countries. They recited the Pledge of Allegiance. Mayor Rahm Emanuel spoke. “Then there’s a portion of the program where they call the country.” People from that country are to stand at that time. As soon as Anita’s ceremony was complete and she was a U.S. citizen, she left the room and encountered a man distributing voting forms. Then she looks at me deviously. She went back to work that day as a citizen of the United States. “I was showing off my certificate, and some of my friends called me. A friend asked Anita what she wanted to do to celebrate. Nothing much. She doesn’t like crowds. They talked playfully about eating hot dogs and burgers, watching the fireworks and buying red, white and blue carnations. Instead, they decided to get together for a low-key movie-watching afternoon at Anita’s friend’s apartment. “He said he needed to stop at the laundry room,” says Anita. “So we went down this corridor, and suddenly there were these people saying ‘surprise’! They were cheering! “I was just so surprised and speechless for I don’t know, a few minutes, I was just standing there and laughing. I felt like I wanted to cry and laugh. “It was such a heart-warming gesture. It was such a happy…” Her voice trails off and she wipes her eyes. Anita received symbolic gifts from her friends that day — a flag brooch, a necklace with a heart-shaped locket bearing red and blue stones, a shawl that is an American flag. She also received a copy of the Constitution of the United States. “One guest made copies of the Declaration of Independence and distributed them so everybody could read a portion of the document and discuss,” says Anita. 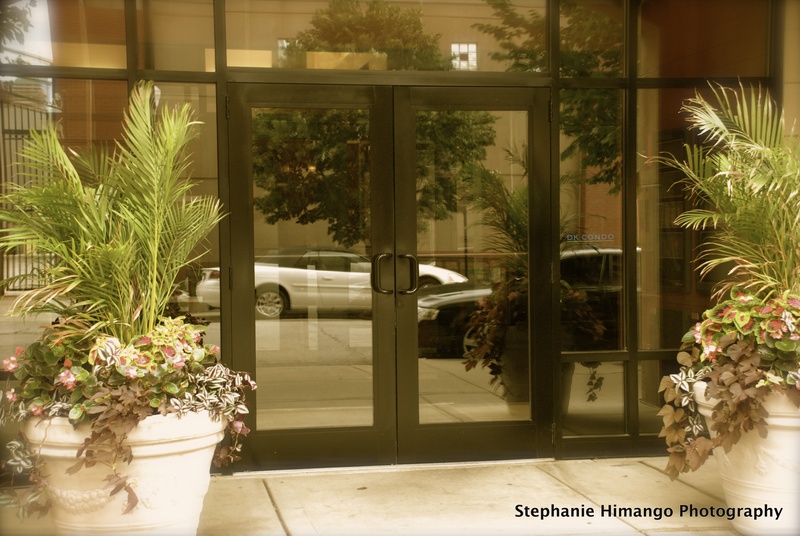 This entry was posted in Travel and tagged america, chicago, china, citizenship, country, determination, growth, home, Inspiration, medicine, pathology, philippines, physician, usa by Stephanie Himango. Bookmark the permalink. This one made me cry. These just get better and better. And the photos are great. They have heart. And I love Anita’s face. Thank you, Patrice. I’m so glad you were touched by this story, and grateful to Anita for sharing her wisdom, strength and humor with all of us. We do live in a land of opportunity and freedom – how fortunate we are! For Anita, truly another door opened. Diane, thank you for reading this post and for your kind words. And my thanks to Anita for sharing her story of never giving up. Ojie, I’ll second that. Congratulations Annie. Stef, I am a close friend of Deb. I appreciate your writings of people from other/our walks of life, struggles, challenges, life stories. Keep up your good work! It is wonderful. Peggy, thank you for reading these stories and sharing your impressions. Please continue to share your thoughts and if you think the stories will resonate with friends, invite them to follow the blog as well. Thank you again. It never occurred to me that my story will be so well-received. The responses are very heartwarming. You really did a good job in putting a voice and face to stateless people (of which I once was 🙂 ). I am very glad I did this and I thank you for a wonderful job. Thank you, Anita, Your quiet strength is an inspiration to many, and I am grateful you trusted me to tell your story. You accomplished that one thing a year that scares you. Now, onto your next one! Thank you for taking the time to read these, and for your thoughtful comment, Tom. I am sure my batch mates from the University of Santo Tomas in the Philippines where we took BS Medical Technology are as proud as I am of Anita. Hi Anita! What a wonderful story. You are such an inspiration. So glad ZJ shared this on FB.